Vernissage Saturday Sept 15 6:00-8:00 pm. Gabe Brown was raised in New York City. She received her BFA degree from The Cooper Union and was awarded a Full Fellowship to attend the Skowhegan School of Painting and Sculpture. She went on to receive her MFA in Painting from the University of California, Davis. Gabe is a 2018 recipient of a New York Foundation for the Arts Fellowship in Painting Award. Gabe has exhibited in many shows including Kenise Barnes Contemporary Art, Samuel Dorsky Museum of Art, Matteawan Gallery, The Saratoga Arts Center, Garrison Arts Center, ArtsWestchester, Schweinfurth Arts Center, SUNY Brockport, The Horticultural Society of New York, Sears-Peyton Gallery, and Carrie Haddad Gallery. Gabe exhibited in our Carte Blanche show in 2017. Akemi Maegawa is a conceptual artist working in ceramics and a variety of medium. Her ceramic sculptures in the show include Darumas, Vessels, and Housing Market Miniatures. Akemi’s works are delicately and intimately conceived, reflective of musings on the world around her; Akemi uses her sculpture to “question the human condition, politics, history, and everyday life.” Her works broach serious topics, yet maintain an exquisite delicacy, indicative of her conscientious artistic process. Akemi’s works radiate with a soft tenderness, lovingly imbued with their creator’s personality, humor, and deep thought. Akemi was born in Tsu, Japan. She came to the United States to study at the Corcoran College of Art and Design and graduated with a BFA in 2005, before acquiring her MFA from the Cranbrook Academy in Michigan. She is the recipient of numerous awards, including the Anne and Ronald Abramson Award for Excellence in Ceramics at the Corcoran. 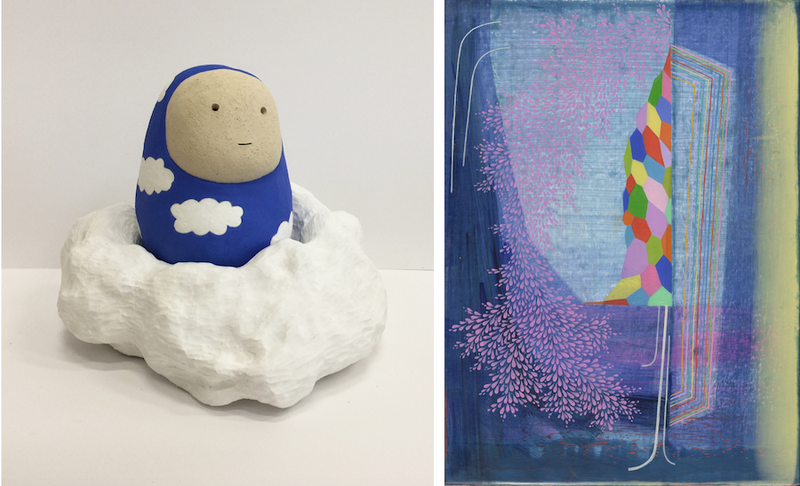 Akemi has exhibited in numerous shows including the University of Maryland University College, Metro Micro Gallery, Irvine Contemporary Gallery, Area 405, Carrol Square Gallery, the SculptureCenter, the Betty Mae Kramer gallery, and DCAC. Akemi exhibited in our Carte Blanche show in 2017.